Plays on any surface such as grass, dirt, sand etc. 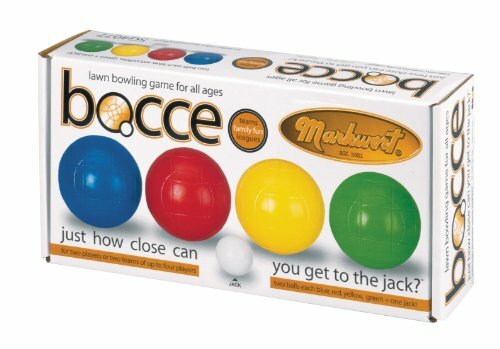 Roll the bocce ball closest to the jack or knock the opponents ball out of the court to obtain points. Set of 2 each blue, green, red, yellow balls, Bocce jack, rules. (9 balls per set). If you have any questions about this product by Markwort, contact us by completing and submitting the form below. If you are looking for a specif part number, please include it with your message.